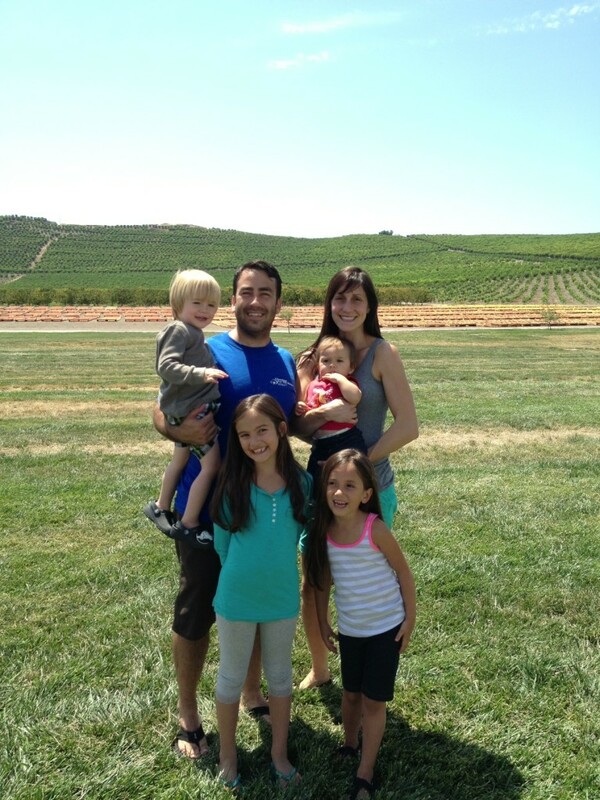 My family and I just got back from our annual trip to Gleanings for the Hungry. Year after year, we are so blessed for taking one week out of our summer to serve God and help feed the hungry. We helped process peaches from local farmers, turning them into delicious dried fruit that is shipped to starving people around the world. Yes, I know it doesn’t look that great, but the dried fruit is really delicious. We processed over 600,000 pounds of peaches that week. It absolutely amazes me. 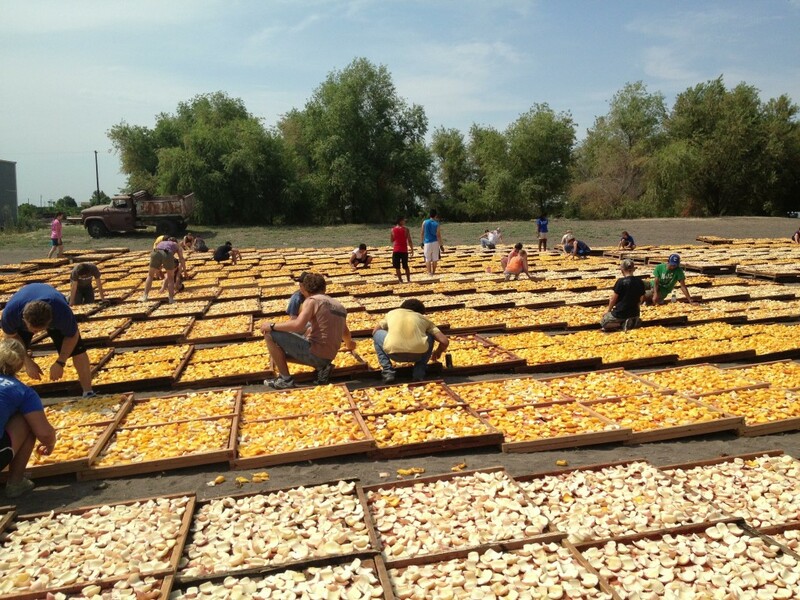 Peaches are dried in the sun and then packaged and shipped all over the world! Why on earth would we go back year after year to work in the hot 100 degree weather in the fields of Dinuba, California to do this? Why is this the trip we look forward to each summer? We ask ourselves this question and don’t really know the answer. Andy says that this trip refreshes him more than any youth conference, houseboat trip, or resort. Gleanings: What a great service project trip for the whole family! The first year we went, I was tired after one day of working. But by the end of the week, I knew that Jesus had blessed me for my time serving the poor. Maybe that’s why students from our youth group have attended this trip four, five, six summers in a row and even joined the Gleanings summer staff. Maybe that’s why home school groups and churches from Canada and Washington take four-day bus rides every summer to serve at Gleanings. Maybe that’s why my kids love it and want to move there. It’s because Jesus is doing great things among those who serve at Gleanings For the Hungry. A little piece of heaven on earth, if you ask me. To find out more about Gleanings, click here. If you love Gleanings for the Hungry, leave a comment with your favorite thing about Gleanings!